As an extension of the mission of our conference, we hope to cultivate a safer space for creative expression and provide an opportunity to build relationships between conference participants and members of the community. 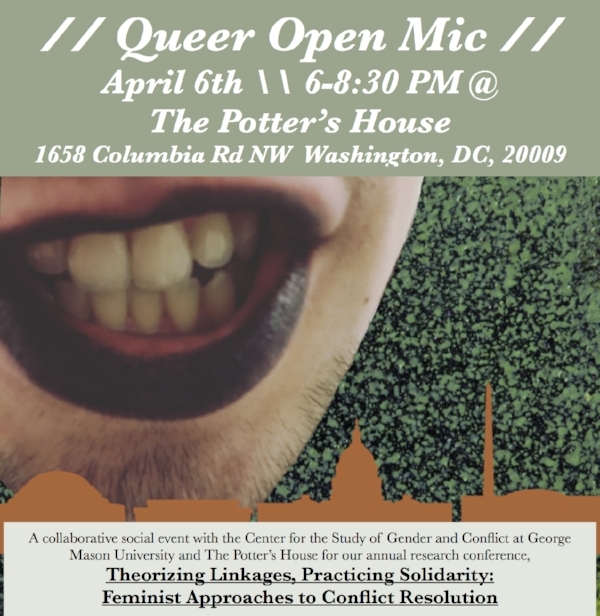 We invite you to share your poetry and music around queerness, gender, sexuality, and feminism. We humbly request that performers select work that respects the diverse identities, traumatic experiences, and varying abilities of our beautiful community. We look forward to sharing the space with you and your passion.